How Far Has The Agent Bong App Come After It's Launch Last Year? 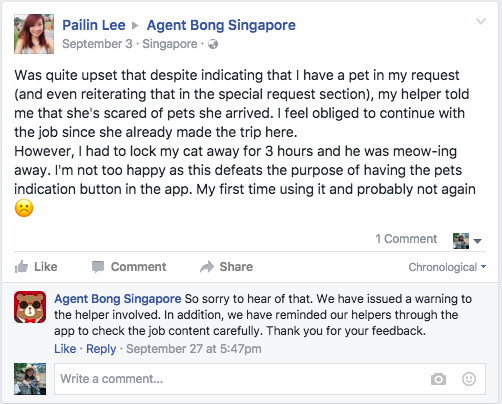 Agent Bong Started Off With A Poorly Designed App, But How Far Have They Come Since? Many Singaporeans remember growing up alongside a domestic helper who would help clean and take care of the family. Back then, these helpers were solely immigrant workers from countries like Indonesia and Philippines. Singaporean domestic helpers, though, are almost unheard of. However, the rise of startups in the recent years have seen an increasingly prominent trend – that of domestic help services provided by locals. 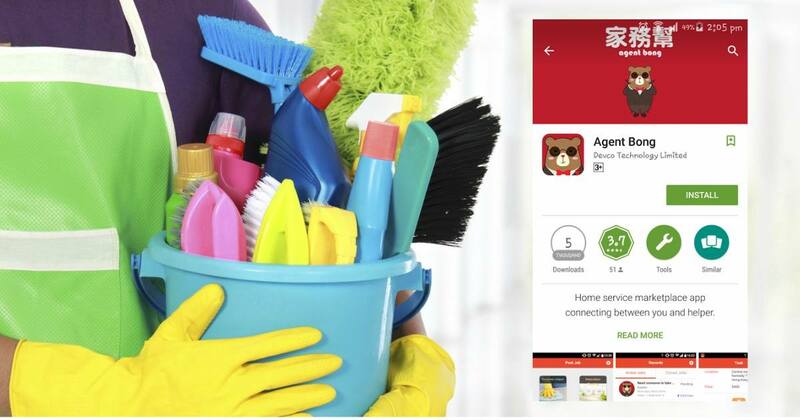 One of the main plus points of these cleaning startups, Sendhelper, Helpling (even NTUC domestic) is these they come on demand, meaning that you do not have to worry about having a stay-in maid. In addition, these companies implemented procedures to ensure that the cleaning staff on their payroll are all certified professionals who would take their job seriously. And amongst the numerous cleaning services in Singapore, there is a particular one that stands out – Agent Bong. 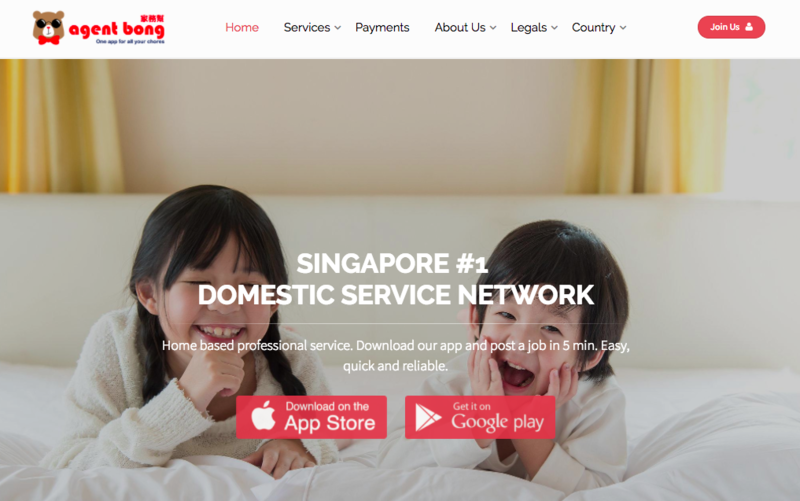 Founded in Hong Kong in April 2015, Agent Bong has since expanded to Singapore, a choice made easy due to the similar markets of the two countries. 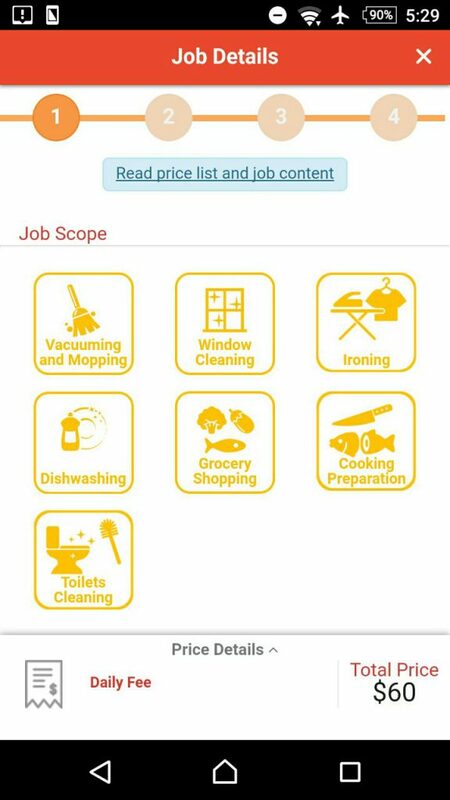 On it’s main page, you can select from the type of cleaning services available, and after that, you will be able to post your ‘job’. The job can be based on something simple as a quick cleaning of your house, to an all-out spirng cleaning, grocery shopping and even cooking service. 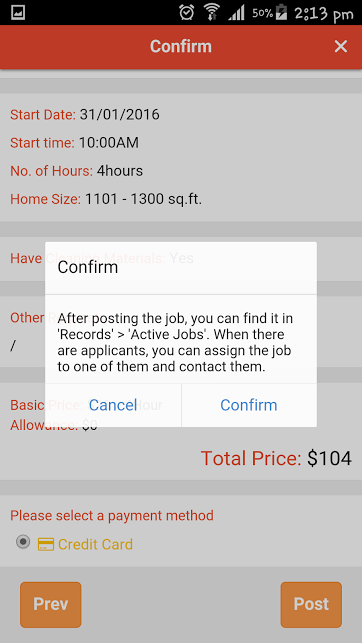 After scheduling your job and keying in details such as address and date, the advert will be posted up on Agent Bong’s network. And then you simply wait. 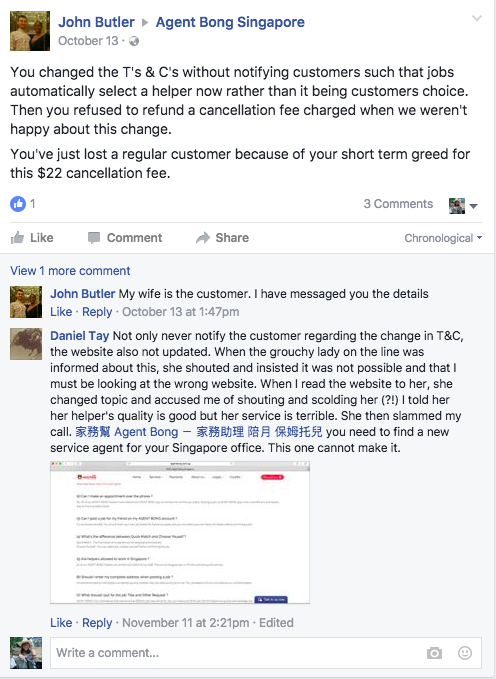 According to their site in March, Agent Bong offered a slew of services ranging from moving in/out cleaning to office cleaning, but one look at their app told users otherwise. Back then, Agent Bong’s app received a scathing review for a poor app design and user interface. 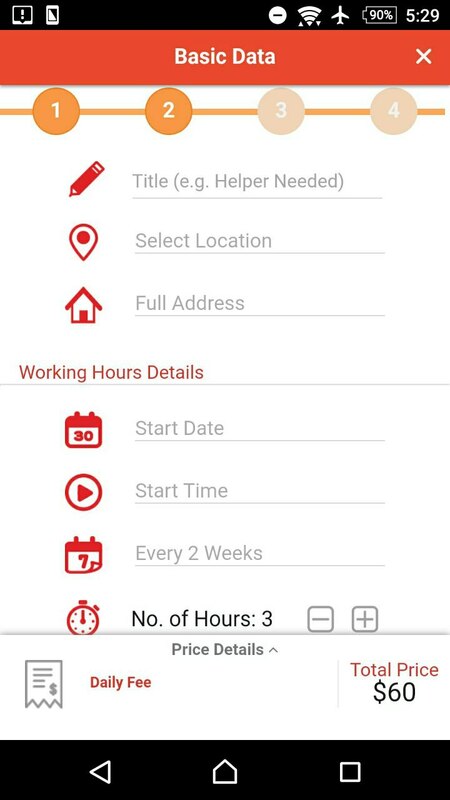 Despite having a long list of services including cooking and child care services, the app showed none of that. Looking at the app now however, it seems like Agent Bong has put in quite a bit of effort in sprucing up the interface, as well as making their full range of services visible right from the get-go. The full list of options are also a lot more applealing visually, and the photos are clear enough such that they require little explanation. 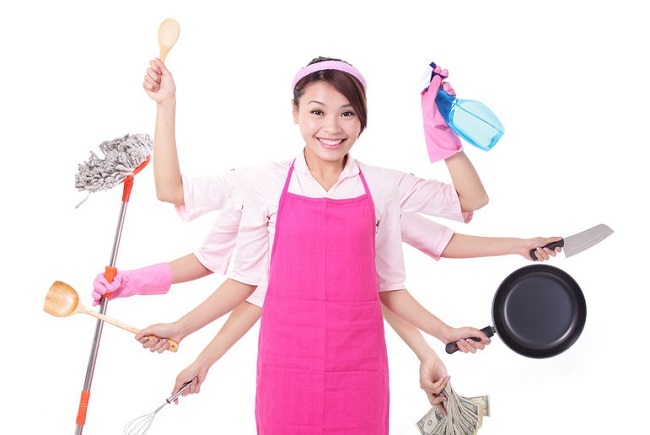 In terms of cleaning packages, Agent Bong also offers different options catering to people with different preferences. Not only that, but the fact that their discounts are very plainly laid out for users to see (without the need to apply a promo code), makes selecting a package very attractive. With regards to the dull grey background of their original app, Agent Bong has also made minor changes. But in terms of appeal, we have to admit that the new app looks a ton better. Users can now also play with more add-ons (at a fee of course), but it does wonders for users’ convenience. In terms of customer satisfaction, not much has been revealed online, though there have been raving reviews for Agent Bong. 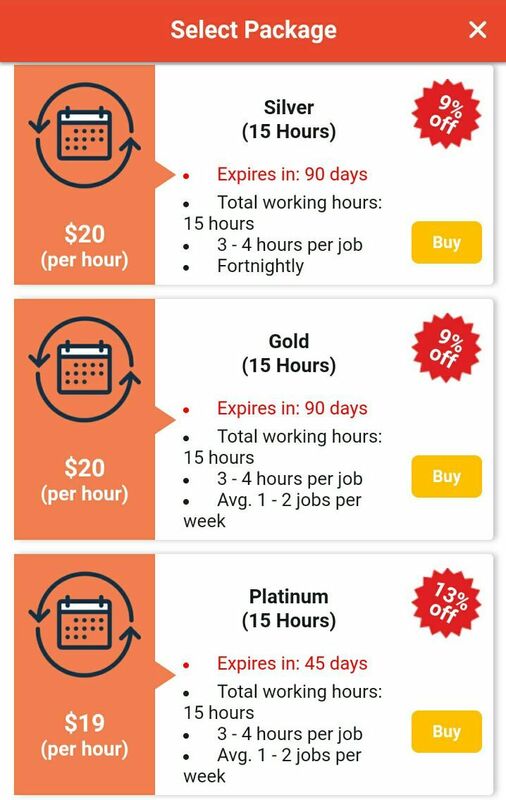 A quick comparison of prices also show that Agent Bong’s prices are competing well on the market, with other startups like Fuss.sg offering a $20 flat rate. One aspect about the service is a little worrying though – their lack of good customer service. And of course, despite guarantees for the professionalism of cleaning staff, some small issues still slipped through the net. All in all, the revamping of Agent Bong’s app has made it more user-friendly. And on-demand cleaning service in a day and age where houses are getting smaller and wallets are getting tighter is certainly attractive. But before we leap at the apps to sign our names up, it remains a vital issue to keep in mind the safety and security issues. Perhaps why these cleaning services are such an appeal is because there is a public name behind them. So people would have someone to hold accountable lest something goes awry. 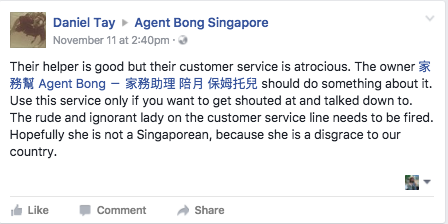 So what about you, would you ever consider using Agent Bong? And why not?